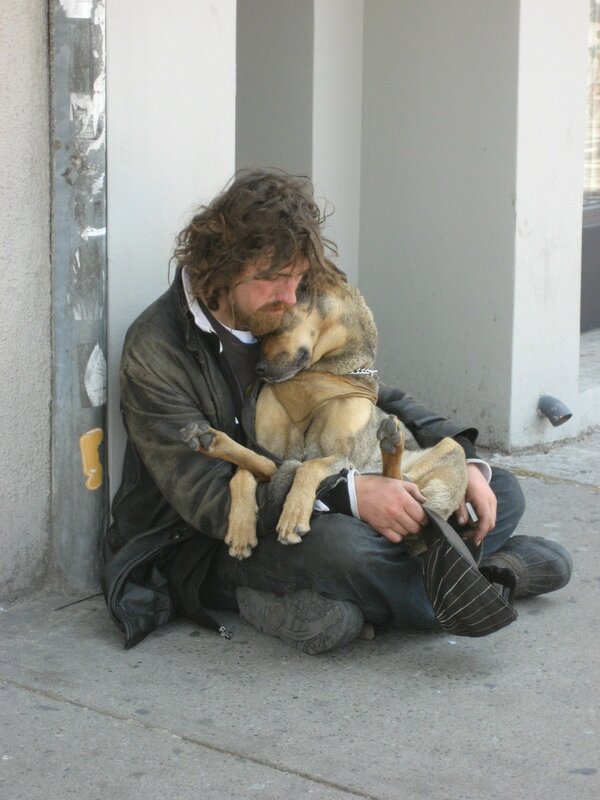 I am of two minds about giving help to homeless people who are begging on the street. First of all, in our city we have a number of agencies that help the homeless and to which people who are homeless can go to obtain help. The Salvation Army, SAMM ministries, CAM ministries, and the new Haven for Hope shelter which can hold hundreds of people who are homeless, especially families. It is a large campus with playgrounds for the children and even a non-denominational chapel. Giving handouts to the homeless people who are begging at street corners only encourages some of the homeless to stay on the streets and use the money for alcohol and drugs. The point is that there are many places homeless people can go to obtain help if they want to abide by the rules of the agencies. On the other hand, there will always be people who, for one reason or another, will not go to the shelters or agencies. Who is there to help them? Yes, they may use money for drugs or alcohol but they are also hungry and thirsty and cold in the winter. I have decided on my own way to help these homeless people. I prepare a snack packet of tuna and crackers that one can purchase in the supermarket, and juice boxes and individually wrapped cookies. I offer these to the homeless people at the street corners when I’m stopped in my car. These folks have always been thankful for the snack pack. In three years, I have only had one person turn down the snack pack. I don’t know why they don’t go to the shelters (probably because of regulations), but they deserve help, too. That is how I have been able to deal with the issue of homeless people in my city. 5 Responses to "Homeless People"
two minds? two minds? I have one mind! And in my mind it is closed minded (two) people who need a reality check!! Agencies do not have the proper resources for homeless. OR homelessness would be extinct!! this is wrong, the agencies you speak of can’t help the huge amount of people who are actually homeless, and probably have to prioritise who they do help, probably prefering to help families with children over men. Not all homeless people are on drugs or alcohol and the people you see in the street may have already gone to these ‘agencies’, they may have been turned down however. Homeless people also don’t neccessarily become homeless because they’ve spent all their money on booze and other things, it can be because of a major tragedy in their lives that has caused great financial distress-car accidents, illnesses, divorces, fire through their uninsured house, etc. I do like, however, your idea of actually giving out food and juice – I think this is great and I might even try it also. I began a group in Alpharetta Georgia this year called 4 Quarters of Love Helping the homeless. as well check things out. I like what I see so now i’m following you. Look forward to finding out about your web page for a second time.